Sprint Gives High School Students a Million Free Devices—So What's the Catch? The good news is that Sprint is donating 1 million wireless devices and service to high school students in disadvantaged areas. The bad news, of course, is that the service is with Sprint. That and the fine print. The program is part of a “1Million Project” initiative carried out by the Sprint Foundation. Sprint says this is the “largest corporate initiative in US history” focused on bridging the digital divide that still leaves so many students without internet access. Sprint and the Sprint Foundation also will work closely with these program members to determine the best device solution for local students. Each student may receive either a free smartphone, tablet, laptop or hotspot device and 3GB of high-speed LTE data per month. Unlimited data is available at 2G speeds if usage exceeds 3GB in a month. Those who receive a smartphone can use it as a hotspot and for unlimited domestic calls and texts while on the Sprint network. Sprint has committed to giving 1 million students in low-income areas four years of free devices and connectivity. The program will run in seven to 10 markets starting in January 2017, but the goal is to do a nationwide rollout for the 2017-2018 school year. This seems like a nice thing to do, as far as corporate good deeds go. According to the Pew Research Center, there are more than 5 million US families with school-aged children who don’t have broadband access. Corporations stepping in might help close that gap. Then again, corporations are corporations, often with hidden agendas. We’ve tried to read the fine-print on the program, but other than the data caps (and 3GB is fine for a phone but probably won’t suffice for a laptop or Chromebook), some of the details are scant. Schools or community programs that apply to the program will have to agree to “serve as an ambassador to the program by participating in local events, distributing promotional materials, supplying student testimonials, etc.” So there’s at least one little catch. It’s unclear if Sprint’s data collection practices will be any different for these free accounts than they are for paying customers. 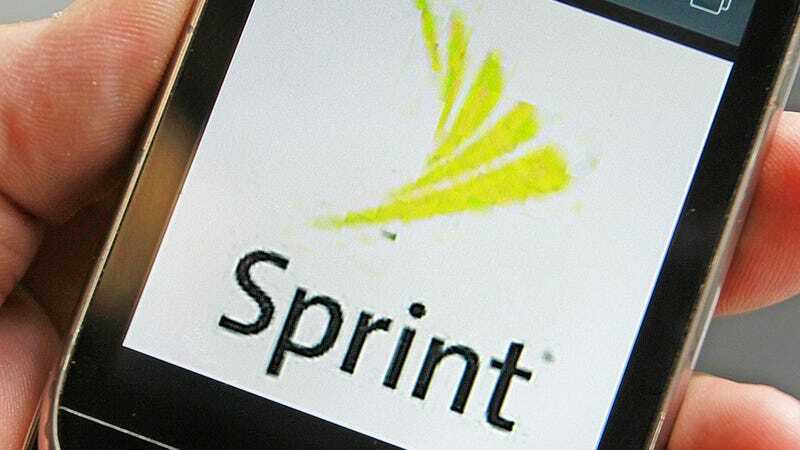 Meanwhile, we’re sure Sprint and the Sprint Foundation will get a nice tax write-off. Sprint also, inevitably, will get some PR warm and fuzzies, and disadvantaged students get free internet access. Too bad the network in question is Sprint. Sprint isn’t doing this out of the kindness of its heart. The big telecom company doing this because it looks good from a PR perspective. Plus, once those four years are up, maybe those 1 million students will turn into paying Sprint customers.